Benny Bryan Hach was born September 28, 1958, in Waterloo, Iowa, the son of Donald and Marilyn (Bryan) Hach. He was raised on the family farm in Dysart and graduated with the Dysart-Geneseo High School Class of 1978. Following graduation, Ben farmed alongside his father while taking classes at Hawkeye Tech in Animal Science and Agricultural Studies. He was married to Merri (Hadley) Taylor on September 17, 1988, and the couple had two children together, later divorcing. Ben was active in 4H, FFA, and served as the Bruce Township Trustee. He was a very active member at Dysart United Methodist Church serving on various boards through the years: Youth Leader, Lay Leader, Church Council President, and as a member of the planning committee when they built a new addition and remodeled the church. Ben had his pilot’s license and enjoyed flying as well as a great fisherman who particularly looked forward to fishing for Walleye in Canada every July. He was a history buff, woodworker and welder and spent a lot of time tinkering in his shop where he built a meat smoker out of an old air compressor. Ben loved the farm and enjoyed spending time with the many animals Heather adopted at the farm, especially the dogs. He enjoyed games such as Risk and Monopoly and was a generous donor at Poker night/”Bible study”. Ben was a fashionable gentleman and could rock overalls and Converse tennis shoes like none other. 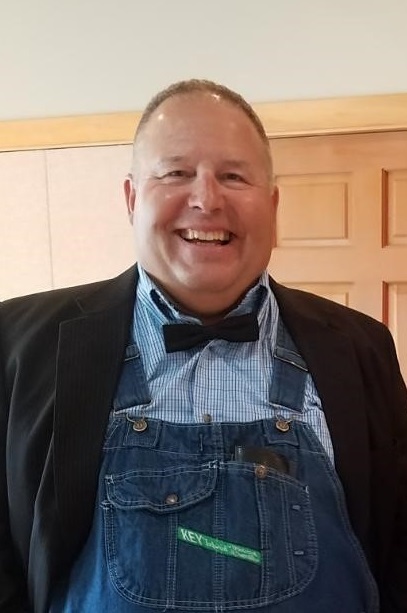 Ben passed away unexpectedly at the family farm on Saturday, March 23, 2019, at the age of 60 years. He was preceded in death by his father. He is survived by his mother; son, Ed (Heather) Hach of Dysart and daughter, Tiffany (Alek) White-Hach of Seattle WA; stepsons, Jim Taylor of LaPorte City and Chad (Laura) Taylor of Traer; stepdaughter, Monica (Jeff) Lee of Cheyenne, WY; brothers, David (Deborah) Hach of Morrison and Lonny Hach of Farmers Branch, TX; sister, Becky Dvorak of Keystone; grandchildren: Alexis, Lydia, Delanie and Magnus; many beloved nieces and nephews; and too many friends to count or name. Ben will be remembered for his joyful laugh, sense of humor and ability to tell a story. Memorials may be directed to his family.